You’re a busy entrepreneur. You have a startup. And a job. And a family. You have to eat. And sleep. And sometimes wash dirty dishes and return library books. Where is all that time supposed to COME from? It’s supposed to come from the time you have. It’s there. Playing hide-and-seek. You just need to find it. 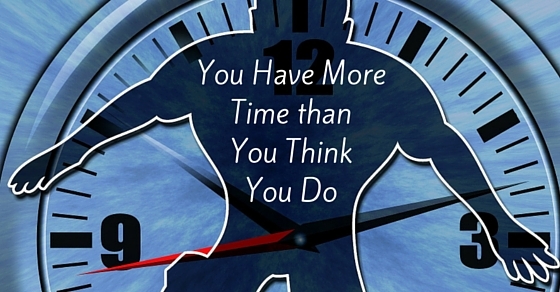 Here are 3 strategies for how to find time where you thought there was none. 1. Decide which are the really important tasks. Why are you an entrepreneur anyway? To make a certain amount of money? To contribute something to the world? To have time for your family, travel or other interests? Write a list of your reasons, and rank them from most important to least important. Now write a list of all the business projects/tasks that you have on your list to do in the next week. Circle the ones that contribute most directly to your top 2 reasons for being an entrepreneur. Now check the projects/tasks you spend the most time on. Did you circle and check the same tasks? If not, there’s a disconnect between what you “should” be doing (to get what you want) and what you are doing. Just seeing that black-on-white can make a big difference to your priorities. But don’t stop there. Pick the two tasks which contribute most directly to your ultimate goals and MAKE SURE they get a daily work focus. Schedule them into your calendar. Don’t make excuses for why today something else is more important. If it’s not contributing as directly to your whole reason for being an entrepreneur, it’s NOT more important. Leo Babuta expands on how doing less (but still handling the essential things) helps you accomplish more. If you find some of the smaller “management” tasks are slipping through the cracks because of your new focus on what’s important, it might be time to get some external help. If it’s the little, critical but not incredibly productive things (email, social media posting, calls and appointment setting) that are clogging your time, consider getting someone – your partner, your teenager, or a professional Virtual Assistant – to take those things off your plate. This can free up a lot of time, but in order for it to work right, you have to be prepared. Take a look at Tim Feriss’s guide to outsourcing your inbox and Ryan Jenkins’ comprehensive 11 steps to selecting and managing a virtual assistant. Sometimes it’s not the little tasks that are taking up your times; it’s the distractions. How many messages pop across the bottom of your screen over the course of an hour? Do you know if you got rid of them (just the distraction – even if you’re not clicking on them or taking action) – how much more brainpower you would have to accomplish the really important stuff? Let your email messages and Facebook wait on you. Stop waiting on them. Yes, this is the advice that everyone gives. And you read it and nod your head and nothing changes, right? Stop reading it and start following it. Write a to-do list at the beginning of the day, and make yourself follow it. If a new task somehow comes up, don’t do it immediately. Think, and put it into an appropriate spot on the to-do list. Only get to it at the slated time. Like junk food fills up our bodies without giving us the nutrients we need, “junk tasks” fill up our day without letting us accomplish what we can. So set priorities, get help, focus. Cut the junk. You’ll have the space for a healthy diet of accomplishment.